Today we’re looking at the different forms of packaging in one supply chain. To make things concrete we use the tomato chain: from seed to vegetable, from sauce to soup. As one of the only dutch packaging manufacturers who provides both flexo and gravure prints on anything from monofilm to a 7-layer laminate our packaging products and customers are very varied. While we have a strong presence in the food & beverages market, we don’t shy away from the production of medical, industrial or agricultural packaging. Today’s blog should illustrate packaging’s diversity while looking at the tomato seed. Our more experienced reader might already know this due to the counterfeit packaging blog we published a while back. But we deliver packaging to seeds among other industries. In this industry companies live and die by their reliability. Their brand guarantees a certain # of cultivated vegetables per used seed. For example, did you know tomato seeds are worth more per kg then gold per kg? To make sure each seed makes good on this promise, packaging is of the utmost importance. The seeds are completely isolated from light and moisture. To make sure of this we supply our seeds in a three-layer sachet. The three-layer laminate including aluminium protects the seed. While the shape allows the producer to cut costs due to its smaller size. And for seeds a sachet still provides plenty of space! 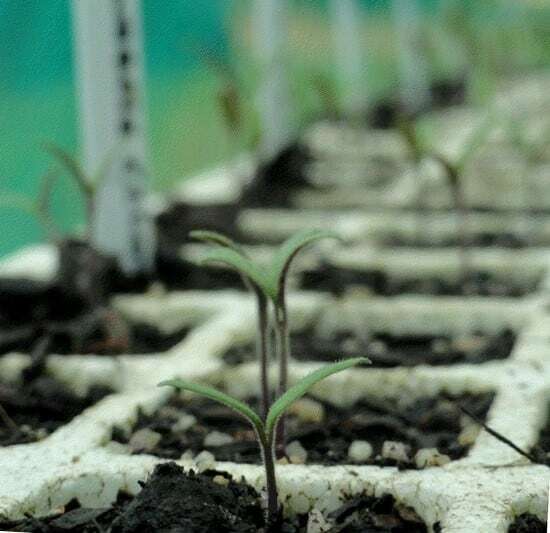 The tomato seeds travel to farmers all over the world after being packaged. These are then used to produce (hopefully healthy & red) tomato’s. After some time these are then cultivated and sold again. Truthfully, tomato’s are mostly moved in rigid packaging (boxes) during this step. But it’s not long before they get packed in flexible packaging once more: with printed monofilm- or duo laminates in the shape of a bag. And just like with the previous option, LPF’s got you covered for this bag! Moving on to the next step, tomato’s are also good ingredients for many other products. One example is tomato sauce, because who hasn’t eaten tomato sauce with his pasta once? Whether it’s Bolognese, Napoleon or Pepperoni, it can be packed in both flexible packaging (pouches) or rigid packaging (glass bottles/ cans). While it’s for different reasons, protection tomato sauce is just as important as for seeds. With it being an edible food you want light, moisture and oxygen to stay away from your food or risk it spoiling. While we can’t help you with glass packaging, our 4 layer SUP’s are second to none when it comes to protection and design. Tomato soup looks a lot like tomato sauce, both when it comes to the demands and the shapes of packaging used. Not surprising considering they even look and taste somewhat the same (and can be used interchangeably in a pinch, don’t ask us how we know..). So just like our previous recommendation, for tomato soup we would also recommend you pack it with a strong 4 layer laminate. Using aluminium or one of our other innovative high barrier solutions makes sure your food doesn’t spoil and tastes great. While not at the same scale as the others, tomato’s are still often used in savoury snacks like chips or crackers. And just like with those other products there is a flexible packaging solution that can house your tomato chips. Due to the inherent saltiness and the fact that chips are not a retortable product we can get away with a somewhat lower barrier for this product. Our recommendation would be using a two-layer flowpack. While chips packaging used to use aluminium, these days we see the market move towards metallized pet. As always this can be printed with your own brand for a strong competitive advantage on the shelf.So there you have it, starting with just one simple seed we can open up a plethora of different end products with their own packaging needs. And here at LPF we’re proud to service all those different options.